Omar Dumdum (“doom-doom”) entered as a PhD Mass Communications student in 2017 and is currently working towards a double minor in Political Science and Global Studies. With research interests broadly covering political communication, international relations and media effects, he is affiliated with the Physiology and Communication Effects Lab (PACE)—one of the research groups under the Mass Communication Research Center (MCRC). Within the university, Omar has worked as a graduate assistant for the Institute for Regional and International Studies (IRIS), editor for the Institute for Research on Poverty (IRP), and online learning content assistant for the School of Nursing (SoN). 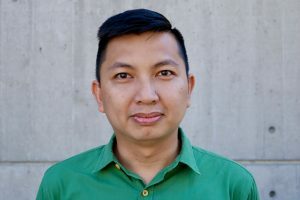 He presently assists the IRIS management and its different units, including the Middle East Studies Program, Center for Southeast Asian Studies, Hmong Studies Consortium, among others. Before coming to UW–Madison, Omar was a consultant for Asian Development Bank, lecturer for U of the Philippines (UP)–Diliman and De La Salle University–Manila, and project/career staff for various national government departments in the Philippines. He holds master’s degrees in communication research (UP–Diliman) and development management (Development Academy of the Philippines), as well as a bachelor’s degree in mass communication (UP–Cebu).